A new performance upgrade package has recently been unveiled by renowned Mazda tuners BBR. The new "Super 200" pack builds on their previous Super 175 and Super 180 upgrades and pushes the 2.0 MX-5 to just over 200 Bhp. Several owners have spent time changing their intake and exhaust systems and experimenting with remaps to boost performance. This work has met with some success with reports of ~180 Bhp being achievable. BBR's Super 200 pack goes a step further by combining a high flow panel filter and 4-1 stainless manifold, with the addition of bespoke camshafts and ECU tuning. The overall result is 100 Bhp per litre from the 2.0 Mazda MZR engine. The upgrade package also includes exclusive exterior BBR badges and 3.5" adjustable tailpipes to fit the various rear bumper configurations on NC, NC2, and NC3 models. If 200 Bhp isn't enough there is also the 'super sport' option which adds a 2.5" exhaust centre section with sports catalytic converter and rear silencer, giving even more power at 207 Bhp. Of course 200 Bhp is nice, but there's more to this upgrade than just a headline figure. The camshafts and ECU mapping have shifted the torque curve so that more is available earlier in the rev range. The torque boost helps with overall drive-ability and easier overtaking as well as making the car even more fun to drive, especially with the remap taking the redline to 7800rpm. Since not everyone can justify the expense of the turbo and supercharger conversions, the Super 200 pack represents a more affordable performance boost and should prove quite popular. BBR's Super 200 demo car wears Mazdaspeed skirts, 17" Rota Blitz alloys, and Koni suspension. BBR exterior badges and 3.5" exhaust tips are included. Careful development by BBR has ensured that the Super 200 package is fully UK MOT emissions compliant and will run on either 98 or 95 octane fuel, with all the existing Mazda electronic fail safe systems untouched and fully functioning on converted cars. 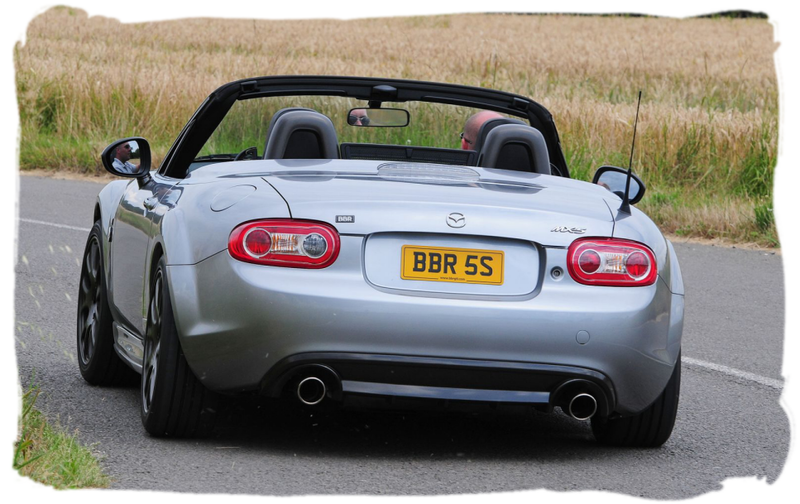 On the road the extra torque, power and throttle response from the BBR Super 200 combine to produce an upgraded Mazda MX-5 which feels much quicker and far more willing, eager and exciting to drive than ever before – whatever the traffic, weather or road conditions. 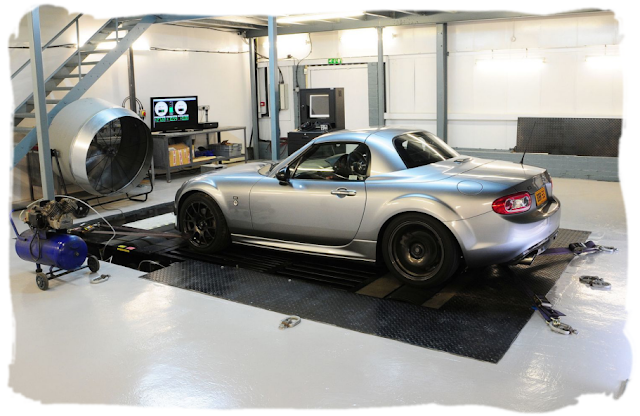 Priced at just £2195.00 fully installed on a drive-in, drive-out basis (including post conversion dyno test print outs) the BBR Super 200 package is perfect for 2.0i MX-5 owners desiring a quality upgrade backed by the track record and experience of the leading Mazda performance specialist. 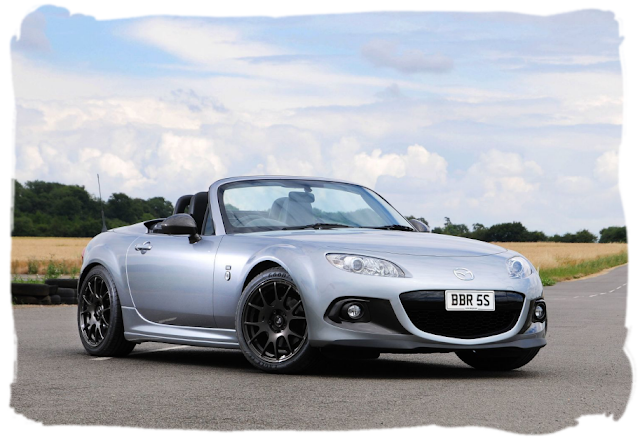 In addition, the BBR Super 200 conversion will also be available via a select number of Mazda UK dealers.